Dominican Republic Motor Oil Market size was over USD 30 million in 2017 and industry expects consumption at over 13 million gallons by 2024. Growing demand for a diverse, innovative lubricant grade and improving fuel efficiency for automotive applications is likely to drive the Dominican Republic motor oil market size. They have superior properties including lower coefficient of friction, anti-corrosion and extended drain intervals which increases their suitability for automotive applications. They provide car and trucks engine protection making them suitable in cold climate and high temperature which may further stimulate Dominican Republic motor oil market size. These are designed to balance the operating costs which aids in saving fuel and maintains the engine for longer run, which in turn may propel industry growth. 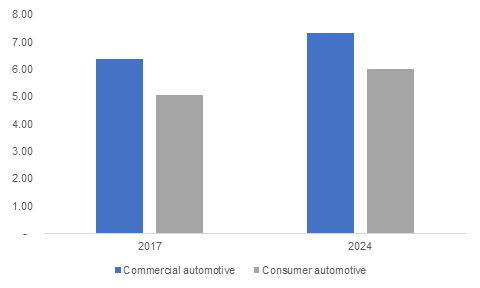 Global automotive industry market size is likely to surpass USD 5 trillion by 2024 which provides various opportunities in the overall market demand. Growing demand towards automotive applications as these products smoothen the moving parts of the automobile to reduce wear & tear by providing trouble free performance for a longer span of time which may further foster the market growth. These are highly used in the passenger cars providing benefits such as reducing friction, prevents corrosion of metal parts, limits viscosity increases along with providing ultimate fuel efficiency, thereby enhancing Dominican Republic motor oil market demand. 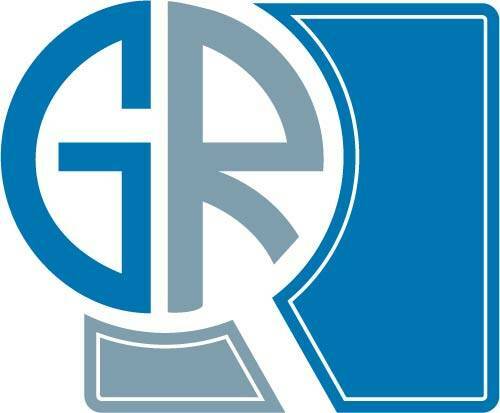 The Dominican Republic automotive industry has witnessed an annual growth rate of approximately 6.5% over the past years. The total vehicle count was over 3.8 million units in 2017 which majorly consisted of motorcycles, followed by automobiles, trucks, SUV’’s, buses and others. The total imports of automotive spare parts accounts for over 65% owing to proximity and logistics considerations which may drive the industry growth. Rising imports of automotive spare parts along with manufacturer’s inclination to achieve cost-effective production and higher product competency may foster Dominican Republic motor oil market growth. Growing demand for car spare parts & its services which in turn require lubricants like grease motor and engine oil for the smooth functioning of vehicles. Favourable trade policies regarding imports for motor vehicles thereby reducing tariffs play a critical role in the country, thereby stimulating the product demand. Manufacturing process require large amount of investments along with usage of hazardous chemicals which is likely to hinder the industry growth. Synthetic lubricants act as an alternative to these conventional products as they are not only advanced but purified, cleansed and broken down into its basic molecules. However, innovative strategies attaining economical cost along with new product development may offer several growth prospects in the Dominican Republic motor oil market. Heavy duty engine oil market size from commercial automotive was valued at over USD 11 million in 2017. They are used in light & heavy-duty trucks & buses including automotive vehicles used for mining & construction purposes owing to their modern and low emission engine designs and providing superior properties such as viscosity control and thermal stability. Moreover, these products provide several benefits such as better load carrying capacity, higher oxidation stability, and quicker response time which is likely to foster Dominican Republic motor oil market demand. Passenger motor oil market demand from consumer automotive may register gains close to 2.5% up to 2024. Growth in number of passenger car sales and light commercial vehicles in the country may drive market growth. Moreover, increased demand for automotive imports, lower interest rates and rapid urbanization are the major factor which are likely to foster the Dominican Republic motor oil industry growth. Grease market size from commercial automotive is likely to surpass USD 1.2 million by 2024. Greasing is required for most auto and truck applications, in a span of three to six months for maintenance purposes. Ball and steering linkages are greased in most heavyweight vehicles while in light-duty vehicles where grease fixtures may not be connected. These are primarily used to lubricate materials which are soft solids or high viscosity liquids, thereby stimulating the Dominican Republic motor oil market growth. Dominican Republic motor oil market share is fairly fragmented with industry players Shell, Total, Kendall, Chevron, ExxonMobil and BP. Companies are engaged in focusing on new product development to gain competitive advantage which may enhance their product portfolio and support regional presence. Moreover, most of the companies are focusing to produce lucrative and durable products to increase the overall industry growth. Motor lubricants are extracted from crude oil which act as a base for all commercial and consumer automotive products. Growing consumer demand towards automotive segment is likely to accelerate the product demand. In automotive sector, these products are used as lubricants which provides several benefits including shear stability, reduced maintenance costs, fuel economy and engine efficiency which may foster the Dominican Republic motor oil market demand.